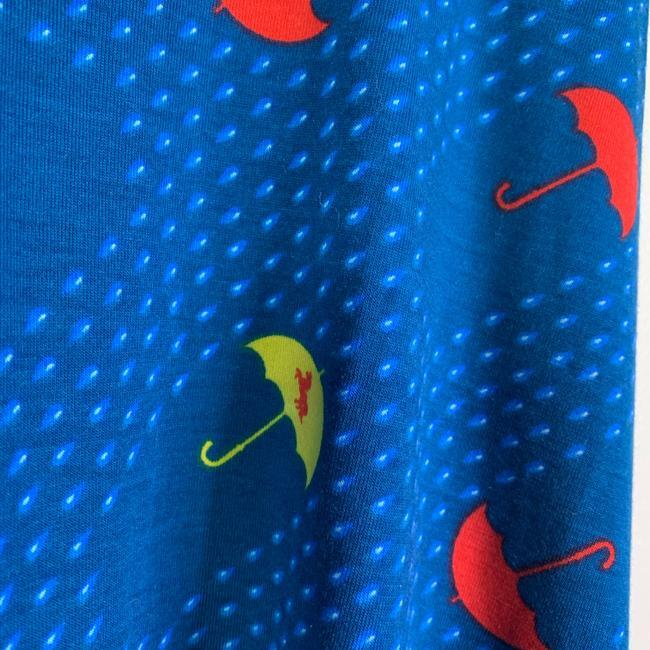 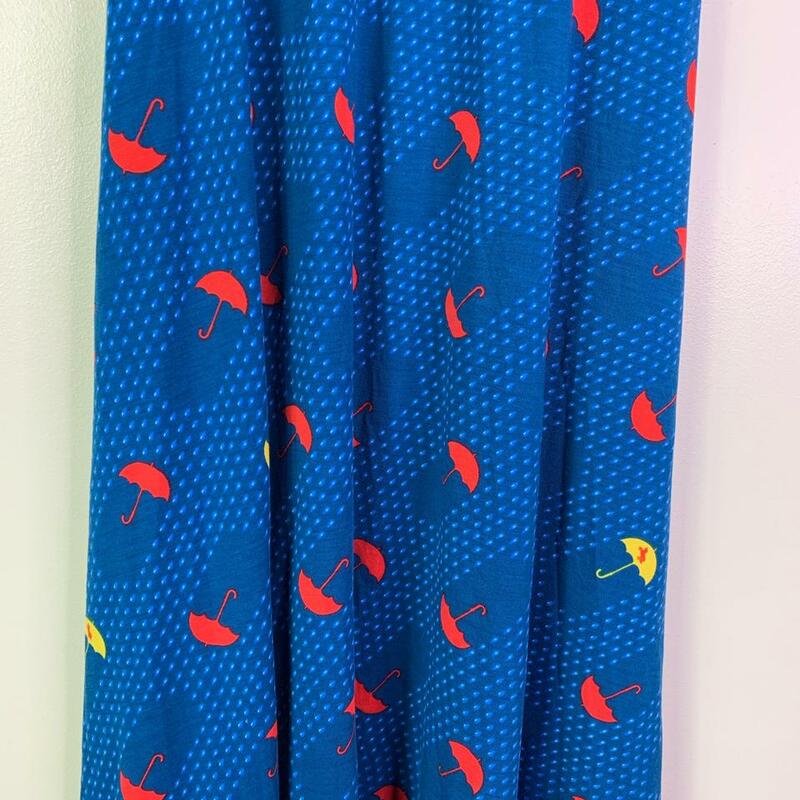 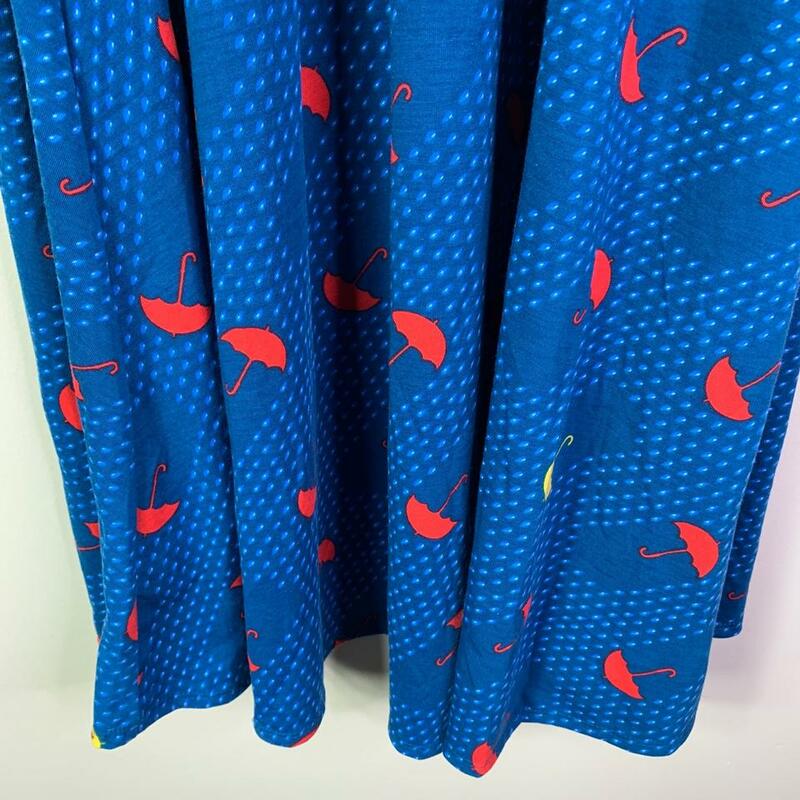 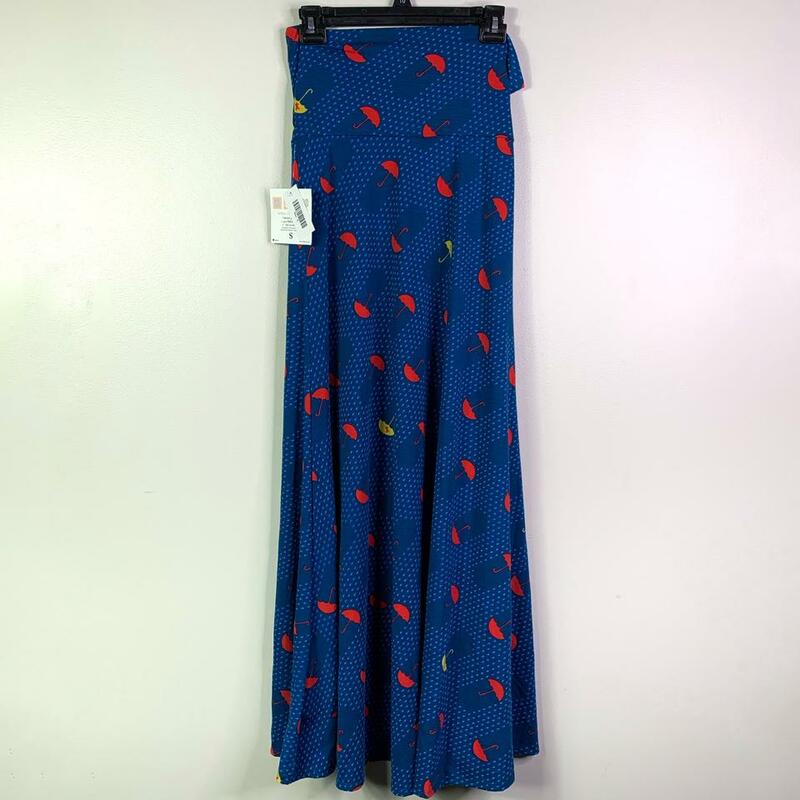 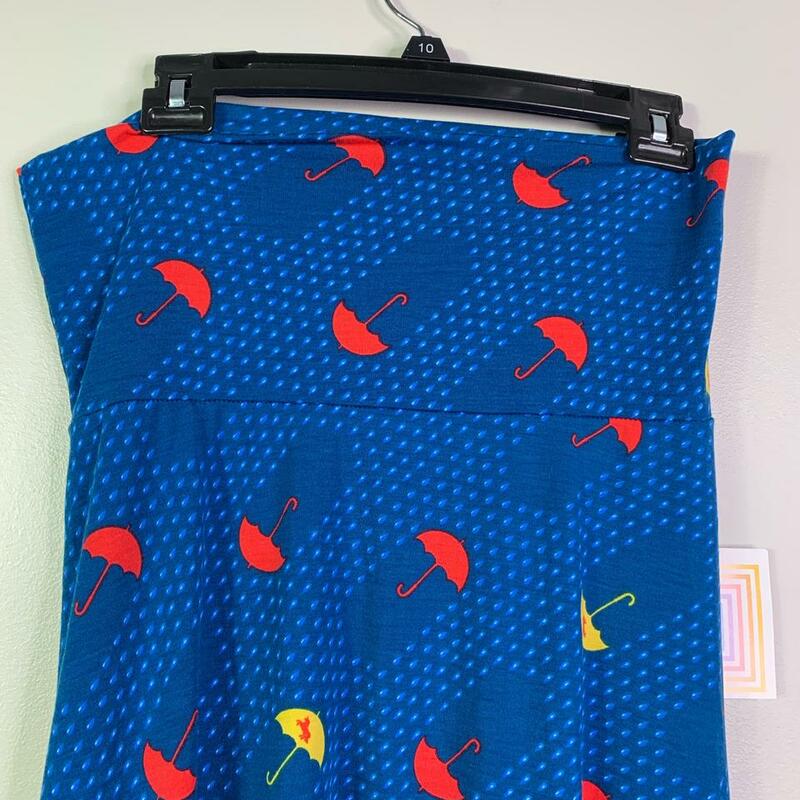 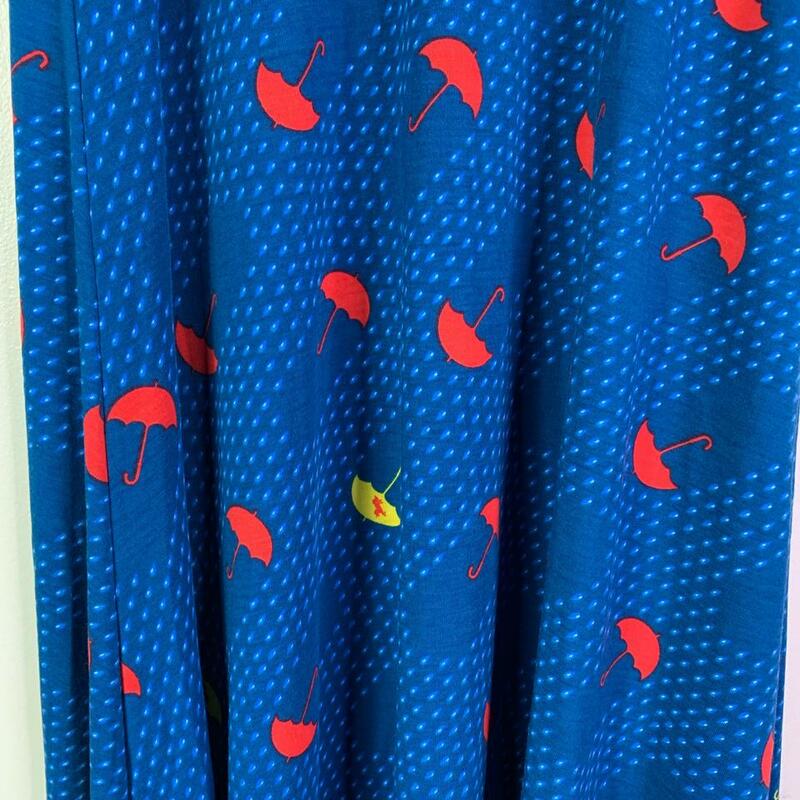 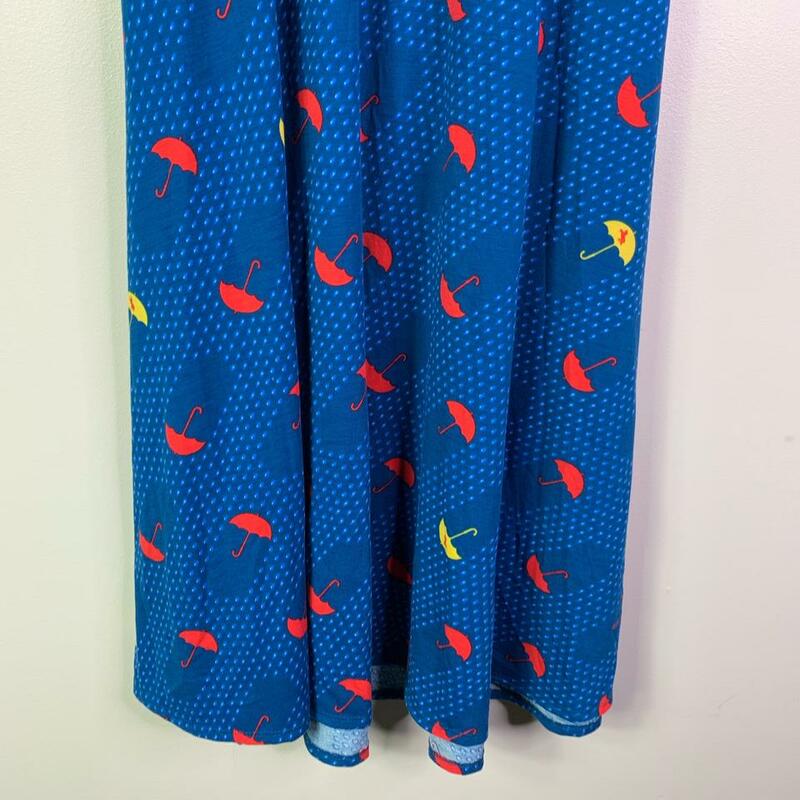 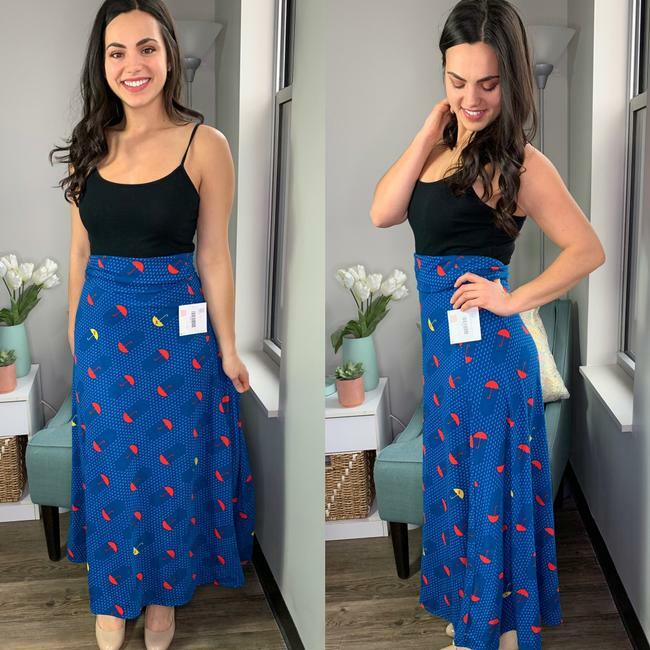 LuLaRoe Umbrella Unicorn Maxi Skirt. 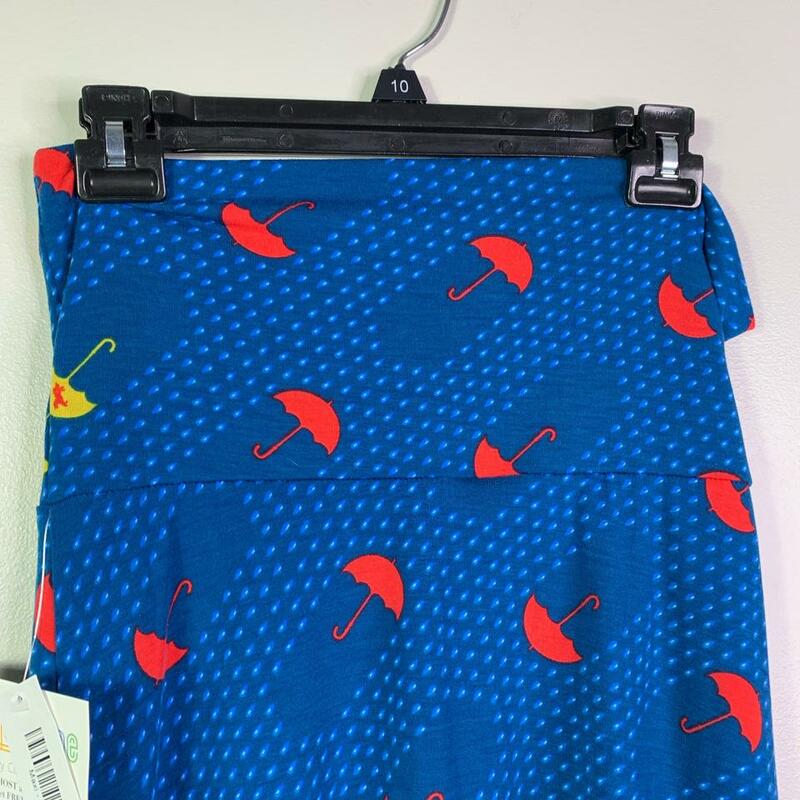 Stretch to skirt. 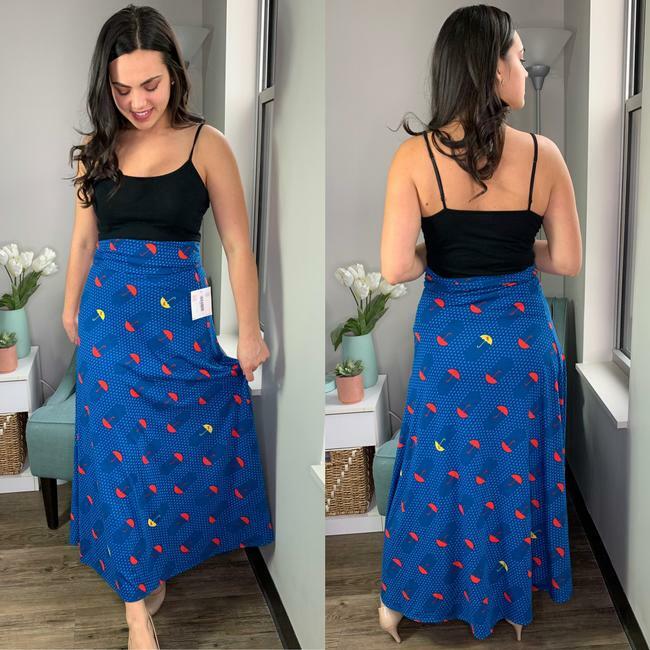 Top of skirt could be adjusted (folded onto itself) to fit your height. Unicorns hidden within red and yellow umbrellas on a royal blue background.